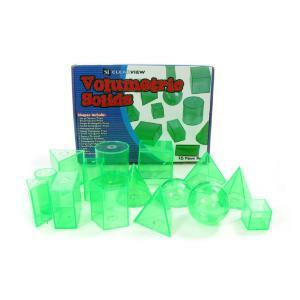 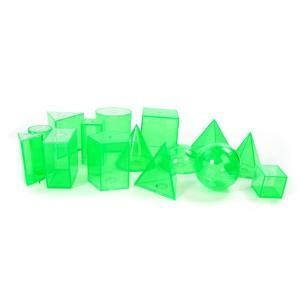 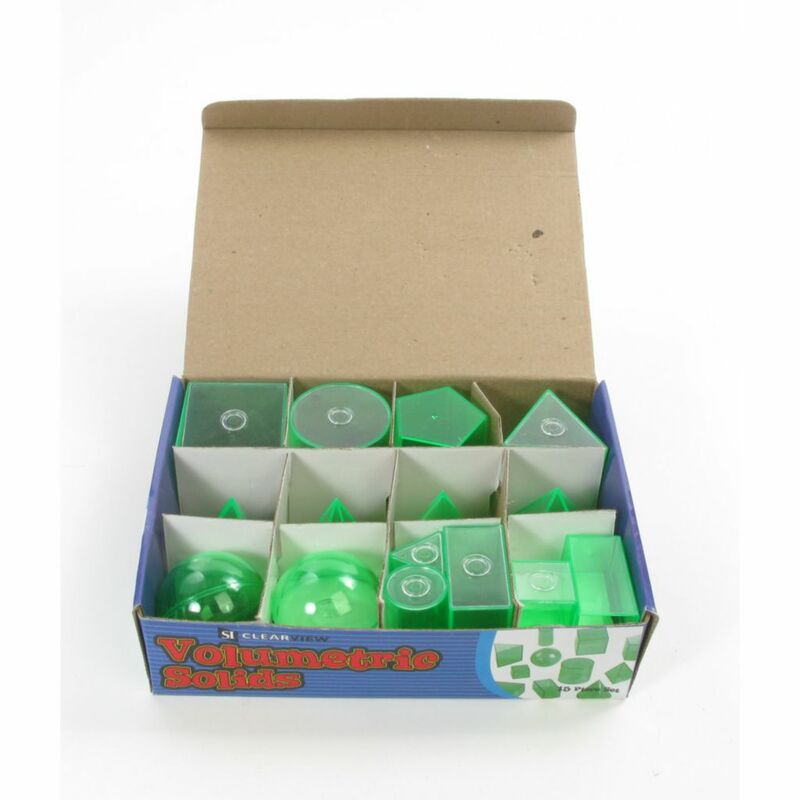 Helps students visualize the volume of different shapes. 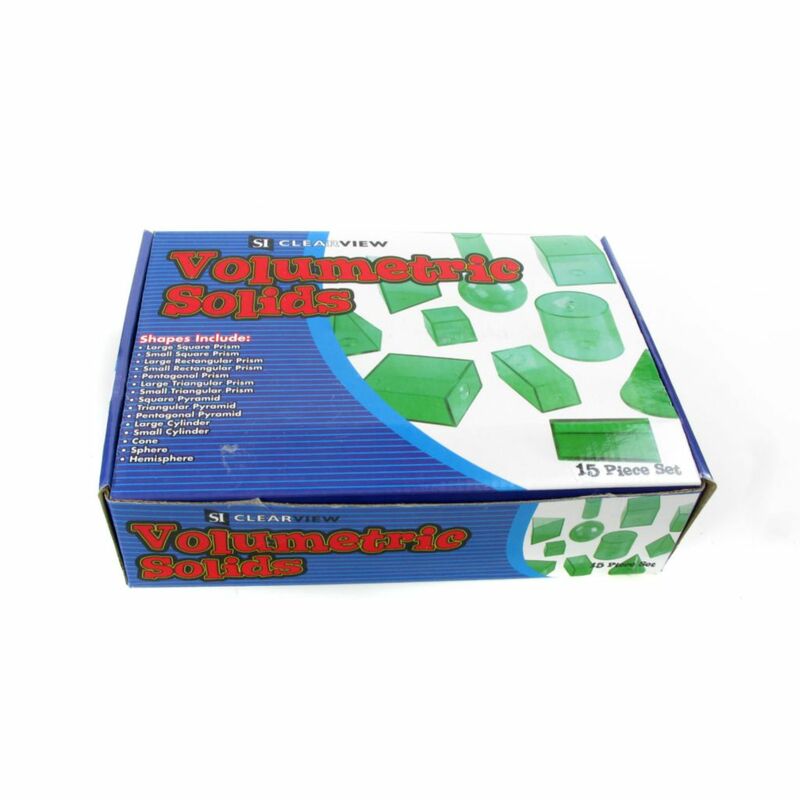 Explore and compare volume using any wet or dry material. 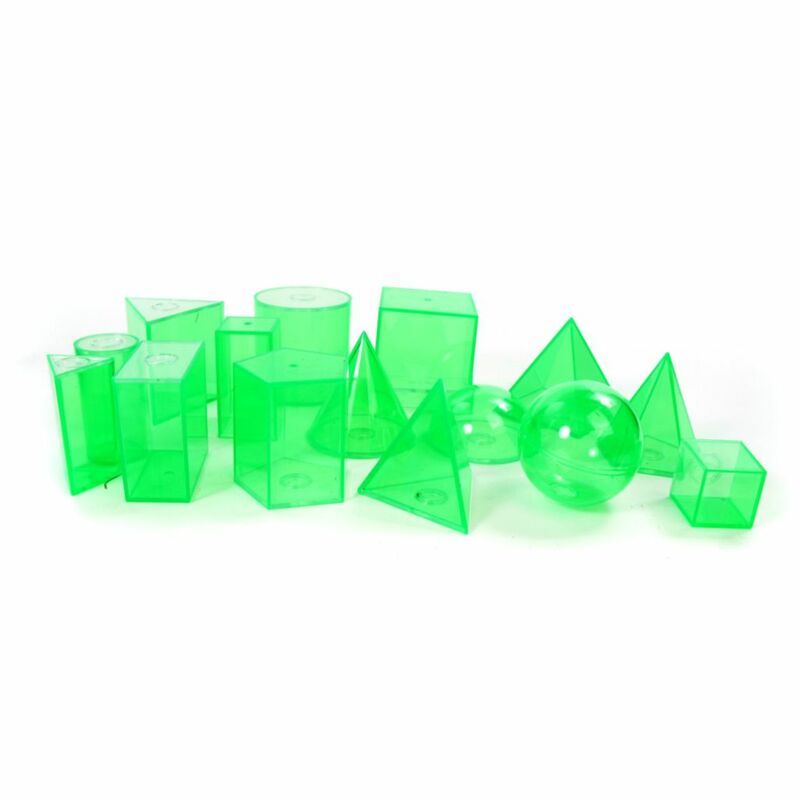 Removable base and stopper for easy filling. 15 piece set.